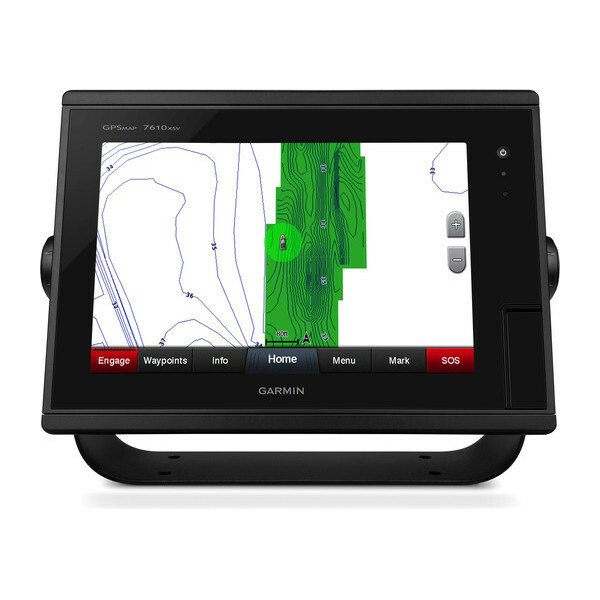 Now you can instantly create HD maps on screen with 1-foot contours of nearly any body of water. 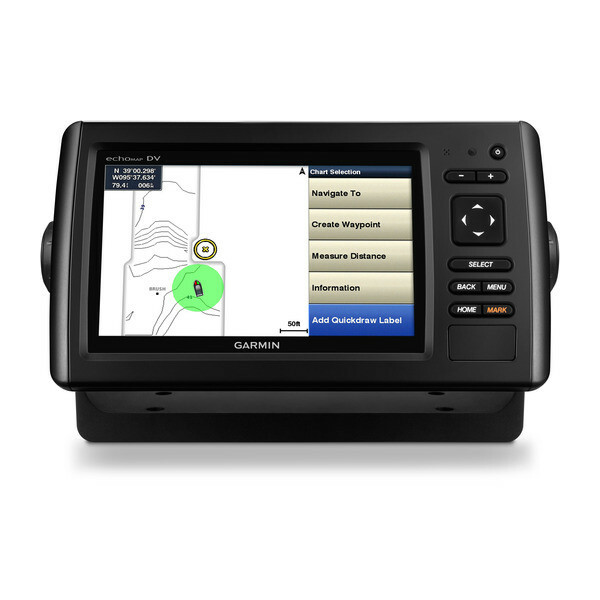 You don’t have to send anything in and wait — results appear instantly on your compatible Garmin chartplotter screen. More importantly, these are your maps. Share them if you wish, or keep for yourself. You own them. 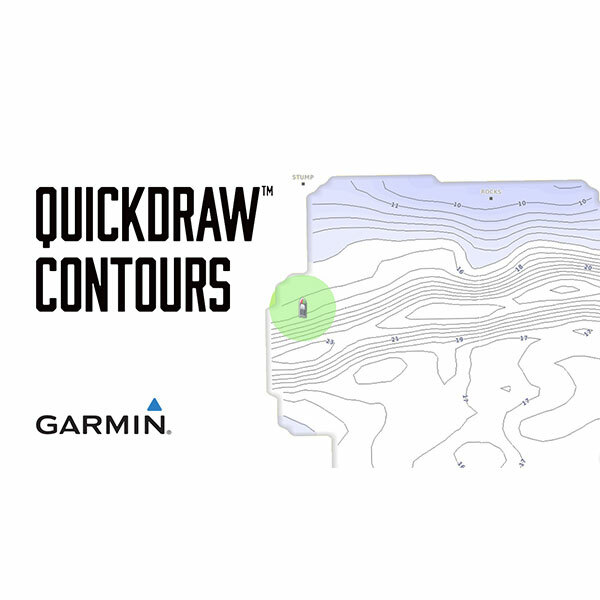 The free, easy-to-use Quickdraw Contours software requires no special surveying expertise. All you do is drive while it creates maps. 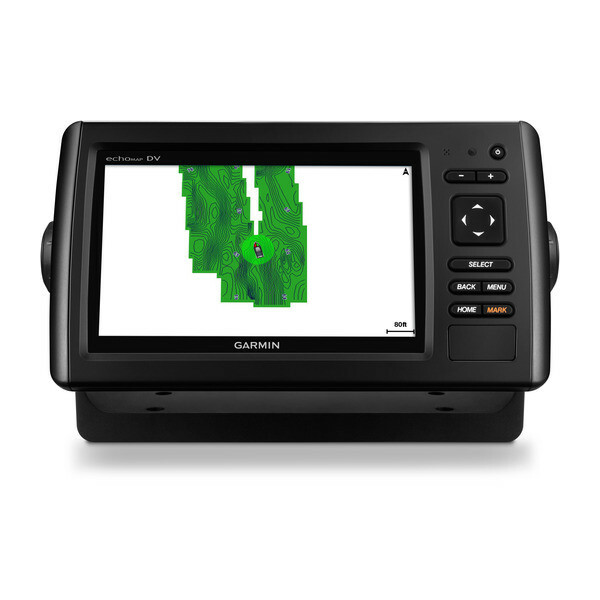 Use with any Garmin Panoptix™ transducer, any HD-ID™ sonar, any CHIRP-enabled, Garmin ClearVü™ transducer or NMEA 2000®-compatible depth transducer. 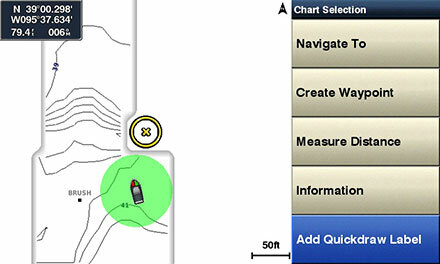 If more than 1 sonar device is connected on board, the most capable sonar device will automatically be chosen. 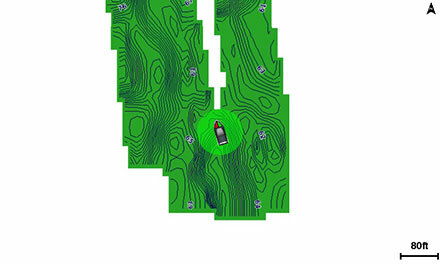 The better the quality of transducer used, the more detailed the map content can be. 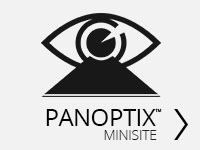 Using Panoptix, you should be able to record about 75 hours on a 2 GB card. Assuming a vessel speed of approximately 10 mph (8.7knts), that’s about 9,000 acres. It is amazing what you can achieve with a Panoptix transducer. 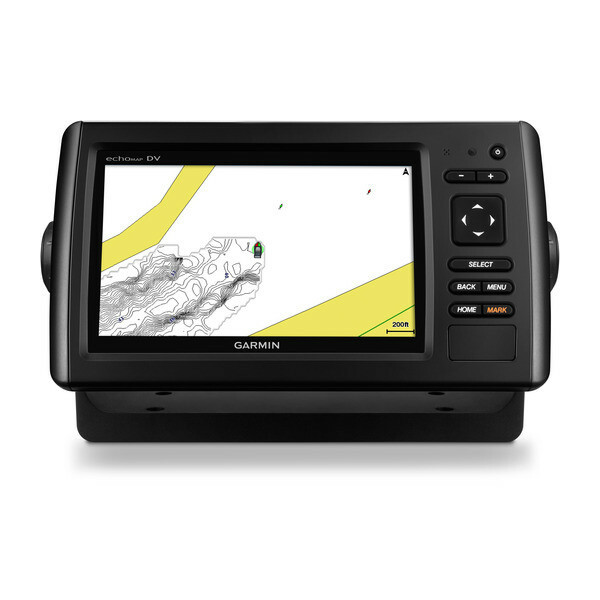 Map data can be captured on any SD card, including Garmin BlueChart® g2 charts or BlueChart® g2 Vision® charts. 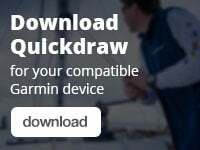 The Quickdraw Community on Garmin Connect™ is where you can easily share data with others. Just log in and select the marine profile. 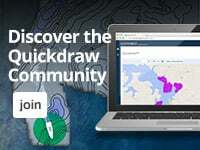 From there, you can upload your Quickdraw Contours map data. Then, typically within a day, other users will be able to search for and locate your maps and easily download them for their own use. Mark and label navaids, wrecks, favourite fishing spots, submerged features, docks, slipways and any point of interest you want to remember on your map. 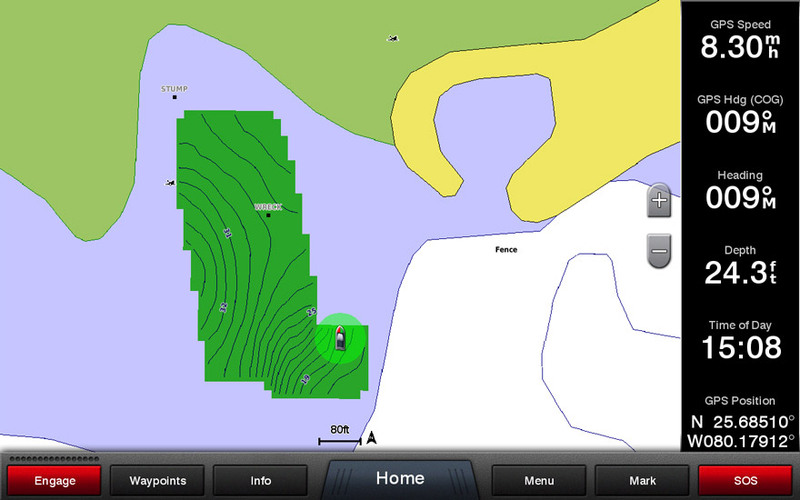 You will be amazed how easy it is to create your own HD lake maps with 1-foot contours. For the best results, we recommend using a Panoptix transducer. 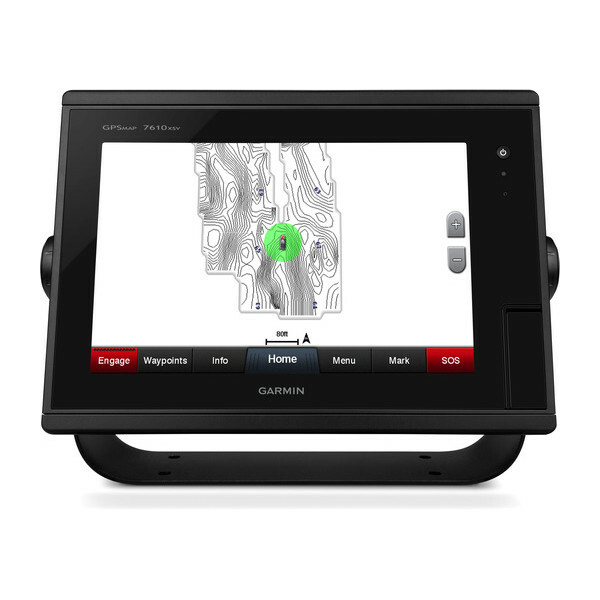 Imagine being able to see the bottom contours of uncharted rivers, lakes or any unmapped body of water you like to fish or navigate. 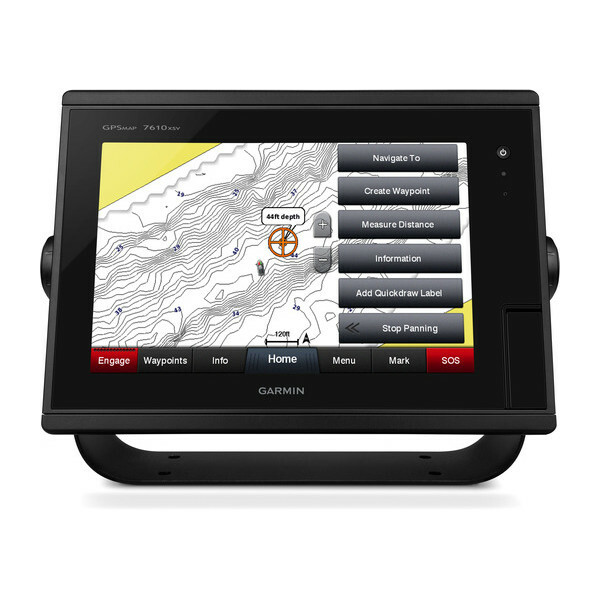 Many harbours and marinas have no map detail. 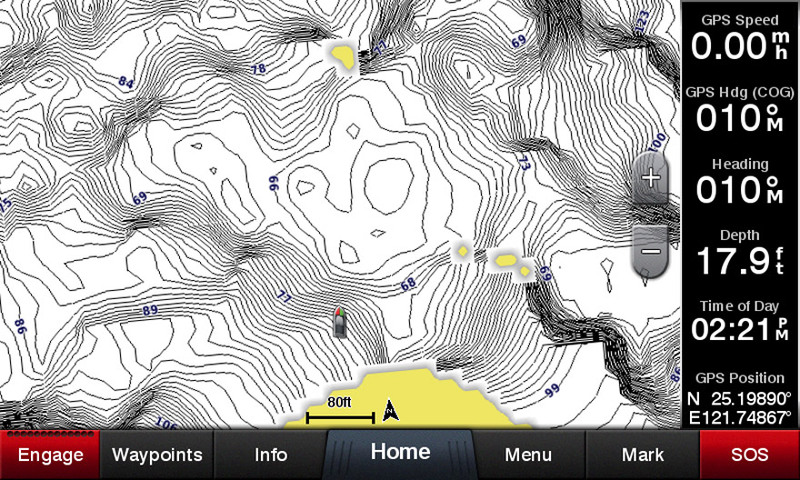 With Quickdraw Contours, you can create maps that show you depth contours clearly labelled on the screen. 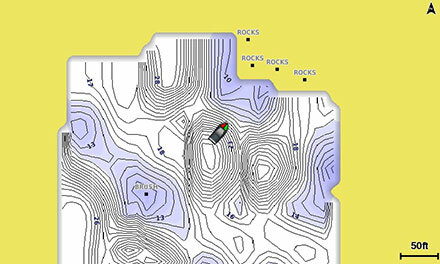 You also can improve existing maps that show locations of underwater mountains, drop offs, crevices or wrecks. Quickdraw Contours software is included on the echoMAP™ CHIRP combo series. 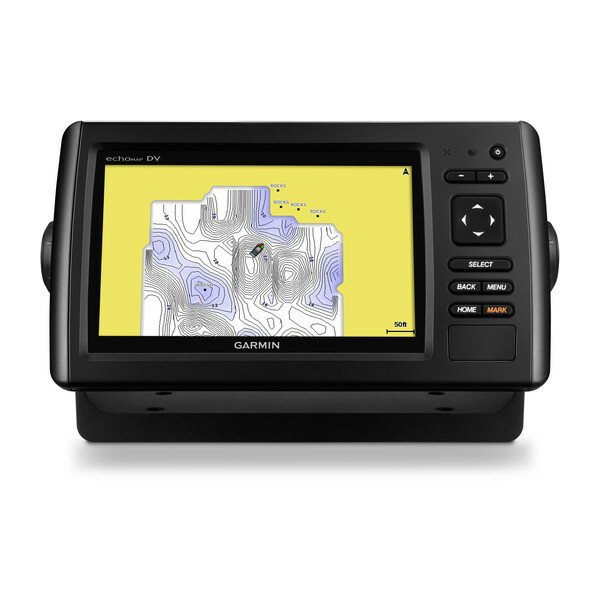 It’s also available as a free software download for echoMAP series, GPSMAP® 7400 chartplotter series and GPSMAP 8000/5x7/7x1/8x0/10x0 series. 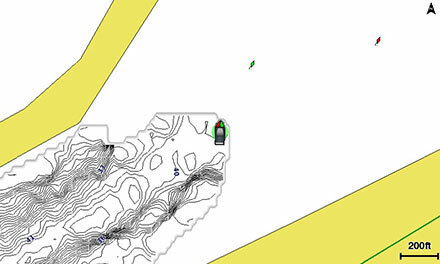 Screenshot showing the background map of BlueChart and the contours appearing in a harbour where no data previously existed.